ST. GEORGE — A man is facing many felony charges after police say a GPS device placed on his car tied him to a string of burglaries at storage facilities in Cedar City. Aaron Tipler, 27, appeared in 5th District Court Friday on one of the six cases stemming from his arrest on Feb. 21. On the evening of his arrest, emergency dispatch received a report of a burglary in progress at one of the city’s storage units “in a high crime area,” one of several burglaries reported within a two-week period, according to the probable cause statement filed in support of Tipler’s arrest. Officers found Tipler at one of the storage units within the facility, and he initially told them the unit was his own but later “admitted officers had caught him,” according to the statement. Tipler allegedly told police he picked the lock to the storage unit and was going to break in. Officers confirmed that the lock had been picked and was no longer working. A search of Tipler’s pockets allegedly yielded homemade lock-picking tools. Police state that similar tools were also found inside Tipler’s car, along with more than $100 in counterfeit money in his wallet. “The money looked real but was definitely fake,” police wrote in the statement. Tipler was arrested and transported to Iron County jail. Hours before his arrest that day, officers responded to an attempted burglary at a car wash where surveillance footage allegedly showed Tipler unsuccessfully attempting to enter a door and a vending machine, causing more than $250 in damage. 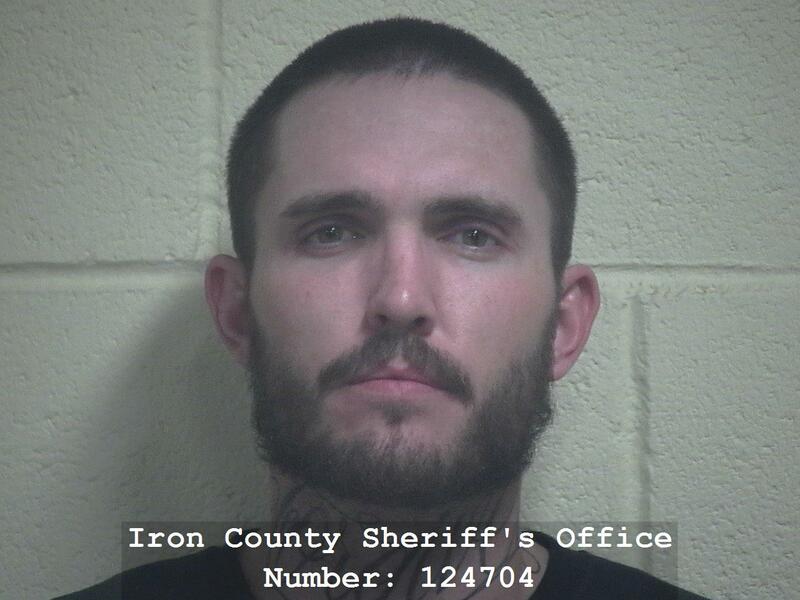 At the time of the arrest, officers were conducting a continuous investigation into a number of storage unit burglaries within Iron County, including break-ins at a storage facility on North 935 West in Cedar City, the first of which was reported Feb. 2. Surveillance footage showed a dark-colored 2001 Toyota Camry enter the facility shortly after 4 a.m and remain there for an extended period of time. Police later discovered that one of the units’ locks was missing and more than $1,500 in property was taken. Two days later, officers were called to investigate a separate burglary at a storage facility on West 500 North in Cedar City where more than $5,000 in property was taken, including firearms, ammunition, knives, titles to vehicles, birth certificates, social security cards and other personal effects. Two days after that, officers returned to the storage facility on West 500 North after a woman called police to report that her storage unit had been broken into and a tote containing horse tack was taken, which police state Tipler admitted to during a subsequent interview at the jail. Officers also returned to the storage facility on North 935 West to investigate a burglary that allegedly occurred at 6:30 a.m., during which the same vehicle was seen entering the facility and leaving 10 minutes later. During the investigation, officers learned one of the units had been broken into and $500 worth of property was taken. According to the arrest narrative, detectives matched the vehicle and other evidence to Tipler and obtained a warrant for a GPS tracker to be installed on the defendant’s Toyota, allowing police to monitor the car’s movements — ultimately leading to the Feb. 21 arrest. Police say Tipler admitted to breaking into both storage facilities during an interview at the jail, telling detectives that during one of the incidents, he and another man broke into a storage unit to steal firearms. He also allegedly provided police with a location where many of the items were being stored, which officers were able to then retrieve. Tipler allegedly admitted to selling at least two guns and claimed the man he was with, who police describe as a “still outstanding suspect,” has the rest of the stolen property. After his arrest, investigators tied Tipler to two additional storage facility burglaries reported July 15, 2018, and Oct. 5, 2018, after they allegedly found additional property reported stolen in Tipler’s residence and garage. According to the statement, officers also found methamphetamine and drug paraphernalia, as well as a .40-caliber pistol and a switchblade knife, which Tipler is prohibited from having as a restricted person and parolee. In all, six cases were filed against the defendant with 24 felony and six misdemeanor charges. Tipler’s charges include four counts of theft and three counts of possession of a dangerous weapon by a restricted person, all second-degree felonies. He was also charged with 12 third-degree felonies, including two counts of theft by receiving stolen property, two counts of theft, forgery and five counts of burglary. He also faces four misdemeanor counts of criminal mischief and one count of criminal trespass. Court records indicate that bail has been set at $73,180 between the cases, and $55,000 of that is a cash-only bond, primarily due to the defendant being on parole when the alleged crimes were committed. He is scheduled for another appearance at 5th District Court in Cedar City Tuesday at 2:30 p.m.